My plan was to wait and take better pictures of my Moneta, but sadly that just isn’t going to happen. I’ve been sick with a cold for a couple of weeks now and allergy season has begun. I will work on better pictures in the future. I made this two weeks ago before I got sick and love it. The pattern was really easy to follow. It was my first Colette pattern and I am definitely sold on them. 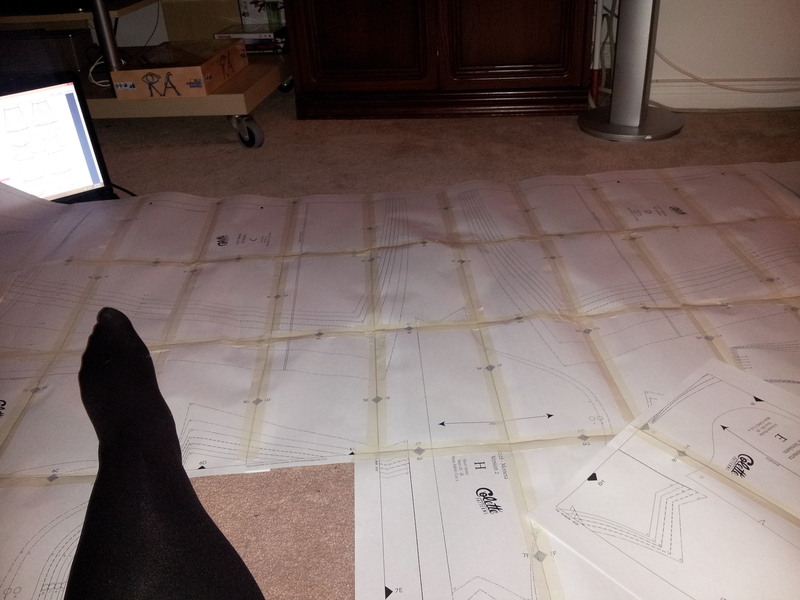 I purchased the pdf and would have to say the most difficult part was taping together the pattern. 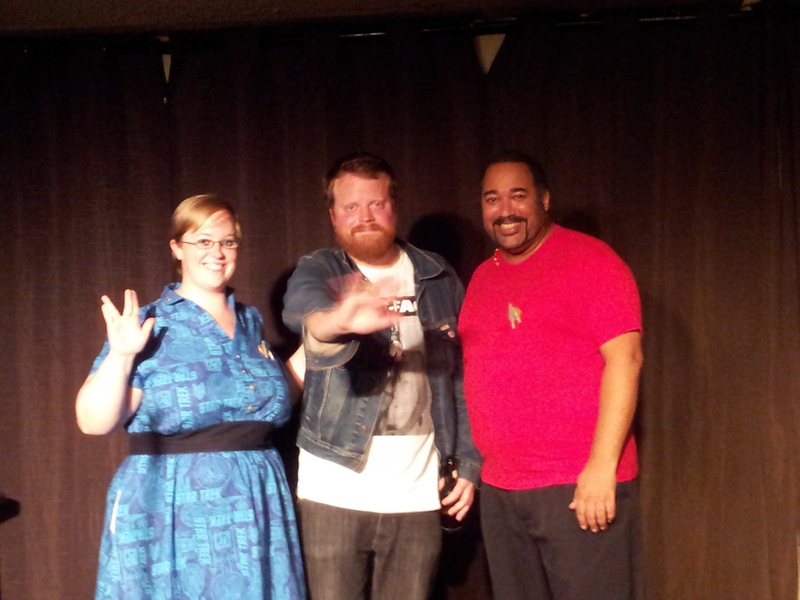 Star Trek Voyager got me through it, though. Captain Janeway was very encouraging and Seven-of-Nine critiqued my methods. 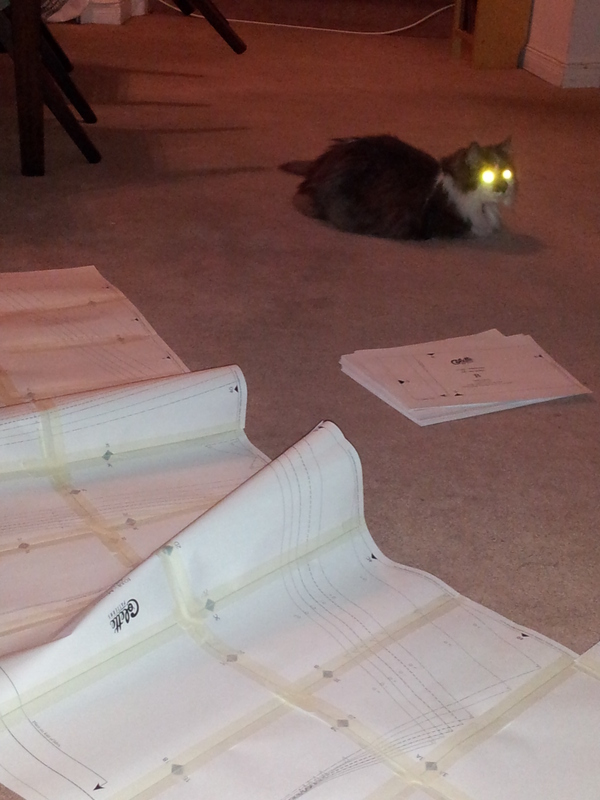 And my laser cat kept the borg away. 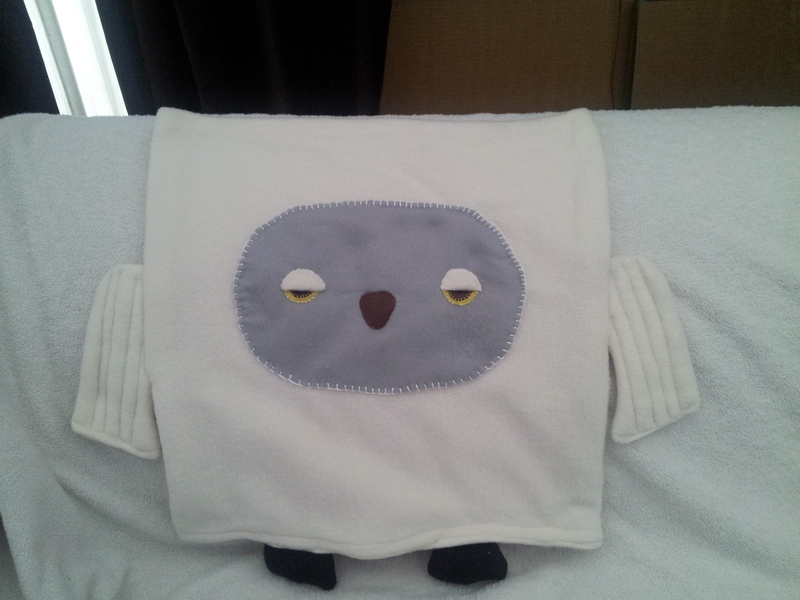 It was also my first time sewing with a twin needle! Except for two broken needles (one because it hit a pin and the other because I failed to properly tighten the needle). Oh how I love in-seam pockets. Let me count the ways…. or not. I won’t bore you. I took the picture in my step-son’s bedroom. I made that goalie player behind me. I’m an artiste! I used a stretch cotton teal for the bodice and a stretch cotton navy blue for the collar and the skirt/pockets. I really like the colourblock look of it. The material I used wasn’t super great quality (not great in terms of recovery), though, but the plan is to make tons more of these in the future. I also think that I will cut an extra-large next time instead of a 2XL. I like the dress with a belt, too. This dress is definitely “secret pajamas” in its comfort level. If I had a comfort level scale of 4-inch heels to pillow room, it would get pillow room. 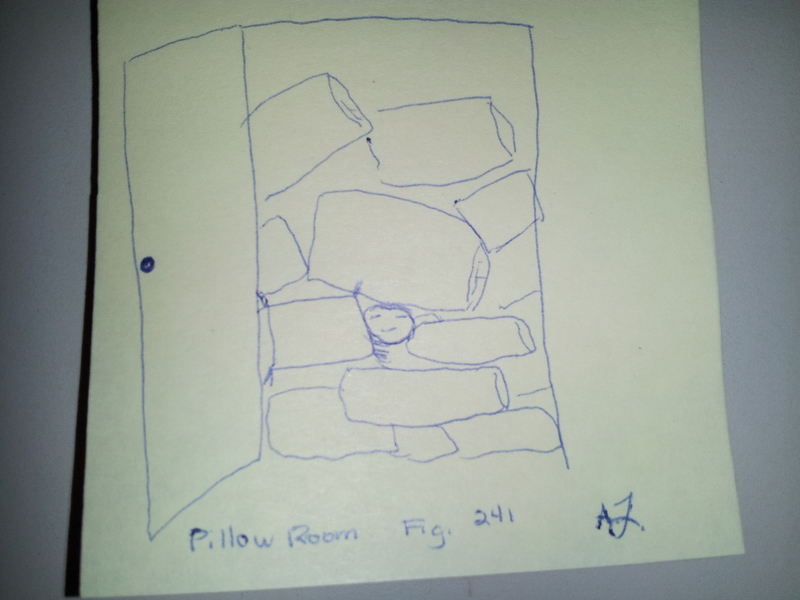 I’ve thought about this enough to make 240 other drawings of a pillow room. I highly recommend this pattern, because wearing a dress that is comfortable as a room filled with pillows is definitely something everyone should be doing. I gained some weight between October and March because of poor mental and physical health and a horrible cold winter. 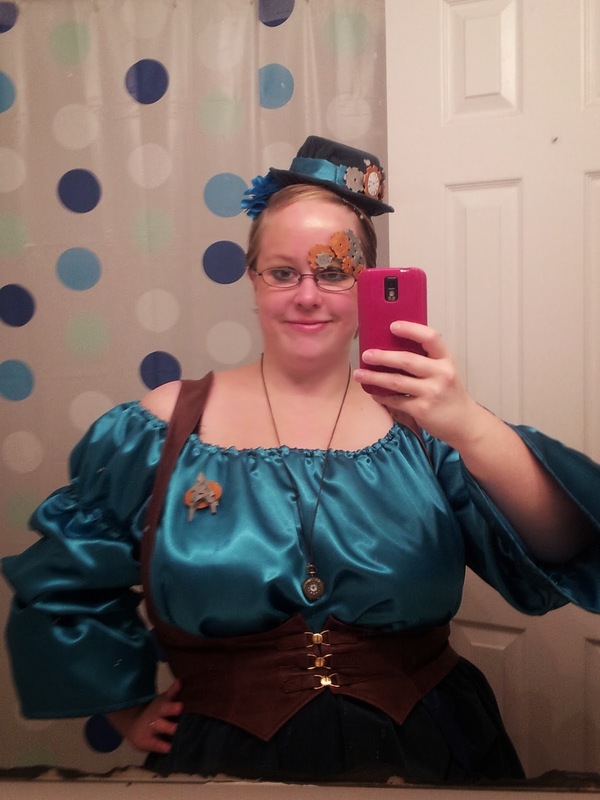 A weight gain is a tough thing for anyone, but it was definitely a barrier for me and sewing. I’m getting back on track in terms of mental and physical health, but there is a long road ahead. Luckily, I can still wear a lot of my clothes. 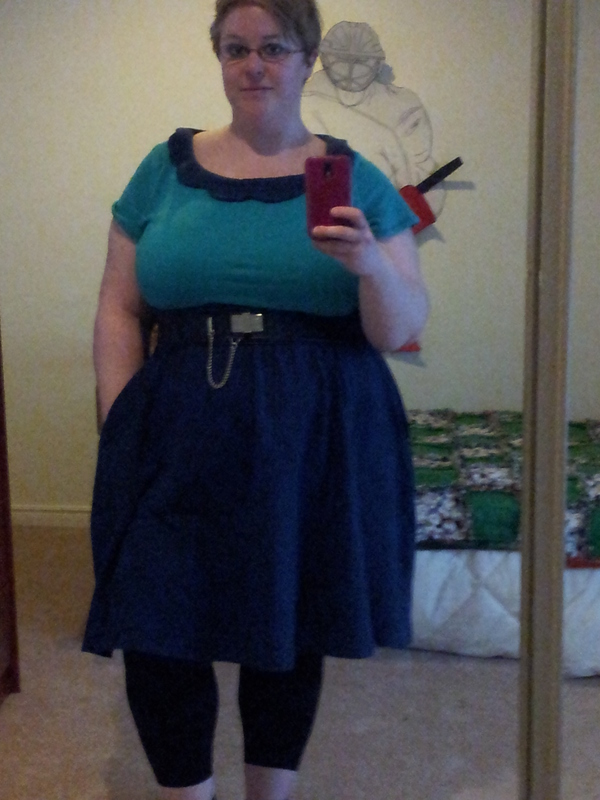 The weight is mostly in my center and most of my dresses hug my bust and flare out at the waist/hips. I haven’t worn pants in forever, though. The few times I’ve tried a pair on have ended in tears. Big huge tears out of frustration. Since March, I’ve been putting a huge effort towards getting my mental and physical health back in order: I started seeing a chiropractor, I went back to my naturopath after a year absence, I started walking to work again with the improvement in weather, I’ve been performing a lot in April (check out The Dandies for updates on that) and I’ve started my vegetable seedlings for the summer. Part of my mental health issues have to do with a lack of sun in the winter, but I also went through some major changes in the fall/winter and have finally readjusted to life. I feel slightly held back in terms of sewing. I haven’t sewed a piece of clothing since October, except for a tutu for a show. I got some new patterns since October and feel inspired. I’m very pleased that Colette has a couple of plus-size patterns (Mabel and Moneta) now and are considering expanding their current patterns to include plus sizes. 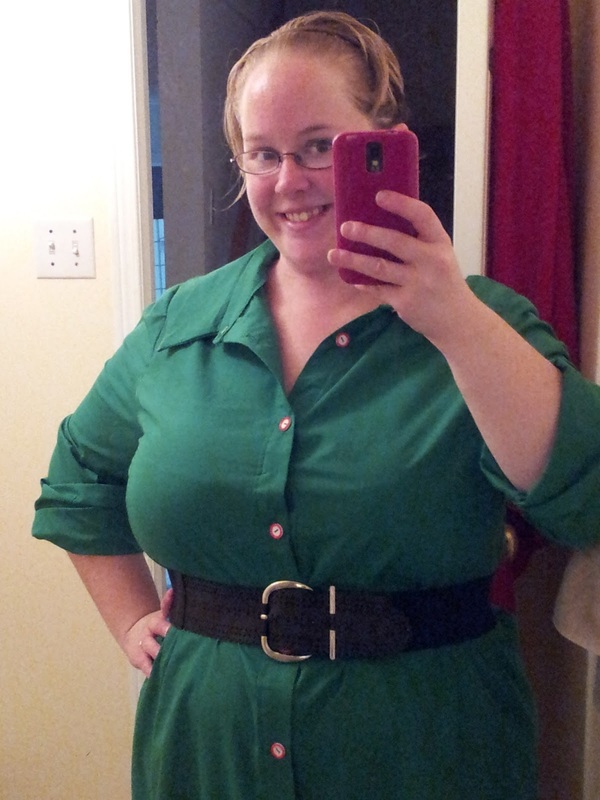 I bought the Moneta after reading a few of their plus-size blog tour posts (check out all the blogs they list there. My long-time fav is Young, Broke, and Fabulous and my new fav is Idle Fancy). I like the Mabel, but it’s not really the style of skirt I wear….er…I don’t really wear skirts at all; I prefer dresses. I also purchased the Espresso leggings pattern from Cake Patterns, Pattern Anthology‘s Just Add Jeans collection, BurdaStyle‘s plus size pattern collection (sadly no longer available), which contained a bundle of 8 plus-size patterns (a zip-up vest, wide silk pants, printed tunic, pencil skirt, long sleeve blouse, jersey dress, draped dress, and a cape) as well as a webinar on plus-size pattern grading, which I have yet to watch. I’m excited by all of this, but to be honest I think the first garment I am sewing in 2014 will be a pattern I bought previously: McCall M6504. I want a colourblocked dress with princess seams and this one fits the bill. 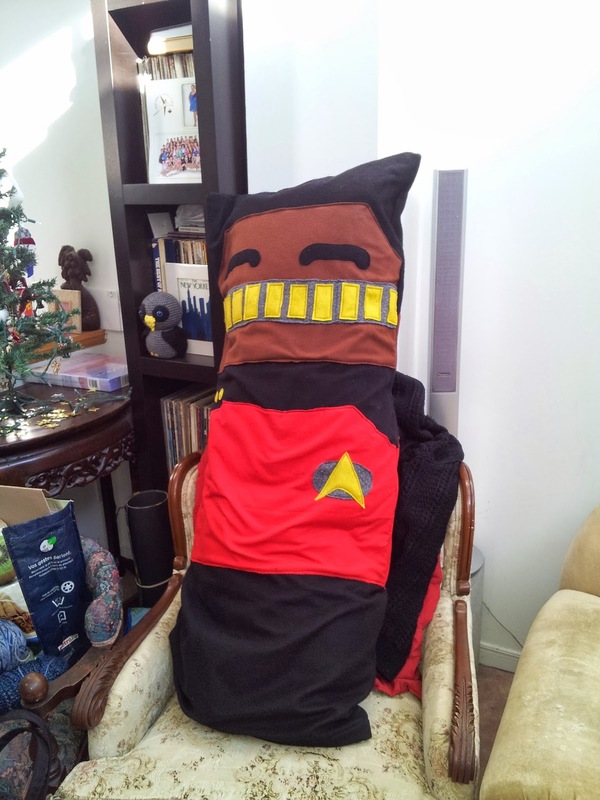 It’s been in my head since last year and I have to sew it. 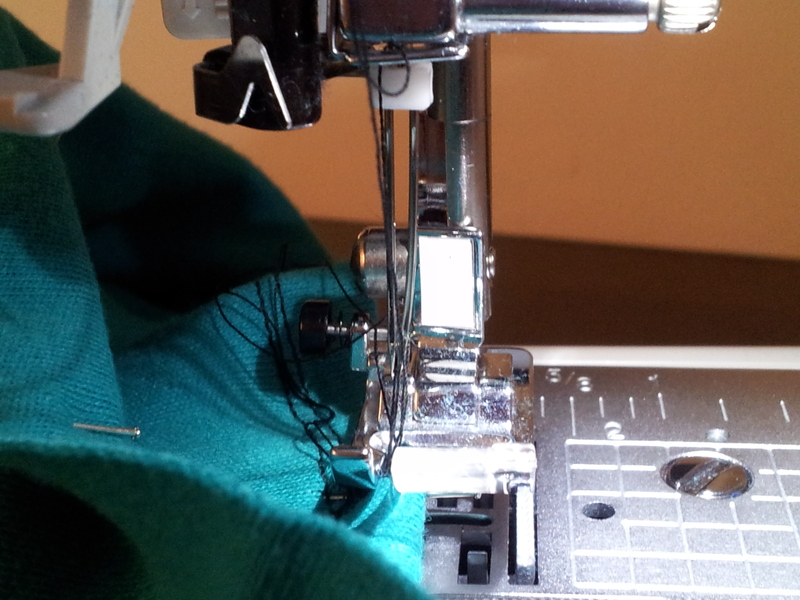 I am scared to get back into sewing, though. It doesn’t make a lot of sense to me considering I was having so much fun sewing last year, but I am scared to fail at it, which is a fear that I’ve had all my life and have felt a lot since November. Ultimately, that is something a sewist must reconcile and come to terms with. Sometimes things just fail. This is true in life. My pledge is to embrace failure and to stop shying away from it. Failure is just another word for learning. I can’t stop doing the things I love because I am afraid of failing. I will embrace failure and push for success.